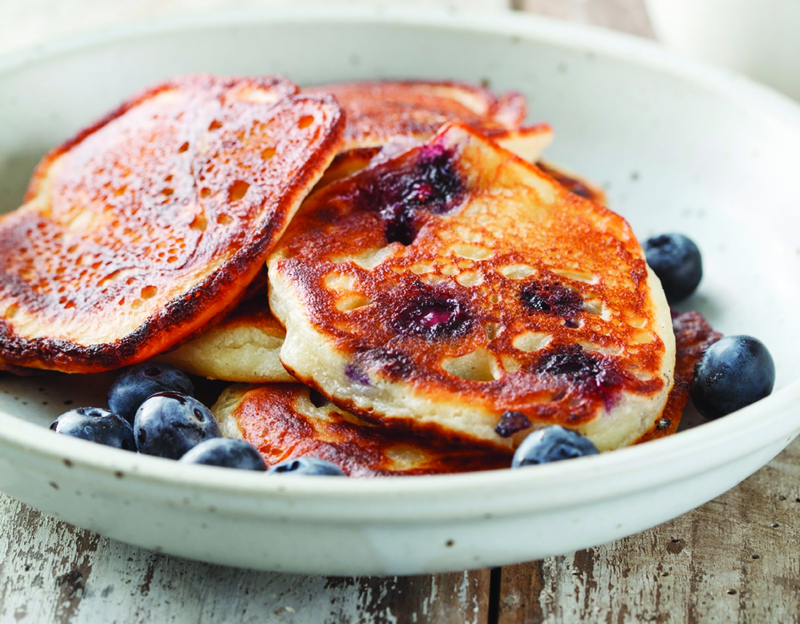 These are the simplest pancakes to make with kids for a yummy Mothers Day breakfast. To make the batter, crack the egg into a large mixing bowl. Add the flour, milk and a tiny pinch of sea salt. Whisk everything together until you have a lovely, smooth batter. Fold through the blueberries, if using. Put a large frying pan on a medium heat and after a minute or so, add ½ tablespoon of oil. Carefully tilt the pan to spread the oil out evenly. Add a few ladles of batter to the pan, leaving enough space between each one so they have room to spread out slightly – each ladleful will make one pancake, and you’ll need to cook them in batches. Cook the pancakes for 1 to 2 minutes, or until little bubbles appear on the surface and the bases are golden, then use a fish slice to carefully flip them over. Repeat steps 5 to 9 with the remaining batter, adding ½ tablespoon of oil to the pan between batches, if needed. Serve the pancakes straight away, topped with a dollop of natural yoghurt, and some extra berries, if you like. Tip: These are the easiest pancakes to make – you don’t even need scales to weigh your ingredients. All you need is a cup or a mug. As long as you use the same cup for measuring both the flour and the milk, you’ll be laughing!